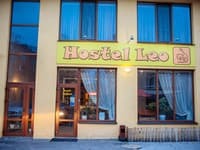 POSSIBLE ACCOMMODATION OF REST OF 24 YEARS! Apartment "Molex Apartments Ave Mira, 35" is located in the center of Chernihiv, on the 2nd floor of a 5-storey building. For living guests are provided with a fully equipped one-bedroom apartment with a balcony. The apartment area is 44 sq.m. The bedroom is equipped with a double bed, a wardrobe, a living room - a sofa bed, a TV with satellite TV. Throughout the terratory of the apartment, free Wi-Fi internet access. The apartment has a kitchen for self cooking. 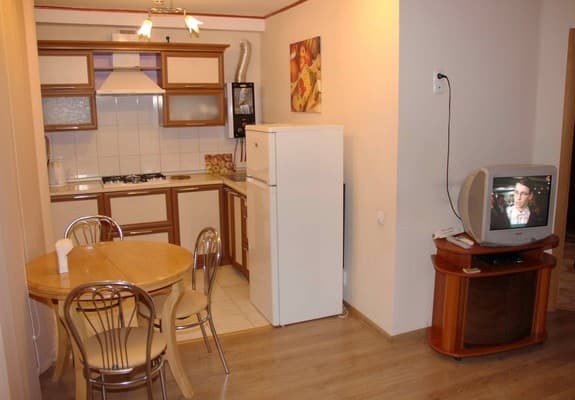 Kitchen equipment: refrigerator, microwave oven, electric kettle, crockery. In the bathroom there is a shower, a washing machine, a toilet and a washbasin. Near the house there is free outdoor parking, next to it there is a paid guarded parking lot for the car. Distance from the apartment "Molex Apartments Ave Mira, 35" to the central railway station is 2.5 km, to the bus station - 1.2 km. 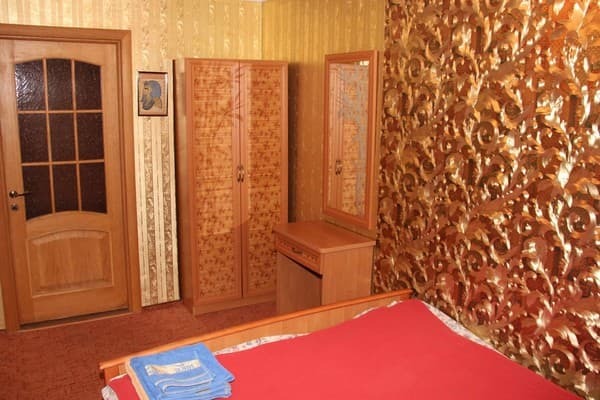 Description of the room: The one-bedroom apartment is suitable for 4 people. Все было прекрасно. И цена и уют. Не не понравилось , скорее пожелание: не хватало жалюзей на балконе , тумбочки и ночника в спальне. А так все отлично. Спасибо. Check arrival: from 14:00 - 22:00 hours. Check leaving: to 11:00 - 12:00 hours. The apartment has a kitchen for self cooking. Kitchen equipment: refrigerator, microwave oven, electric kettle, crockery. 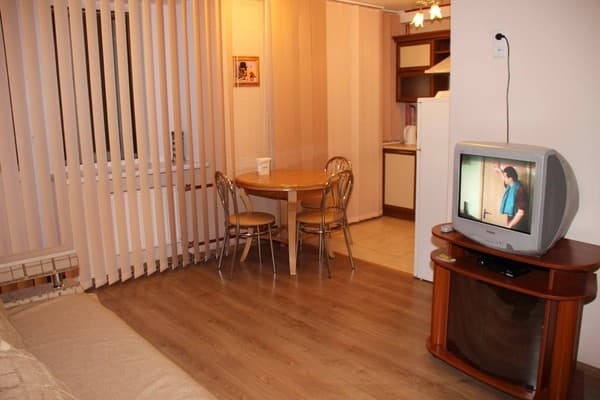 Apartment "Molex Apartments Ave Mira, 35" is located in the center of Chernihiv, on the 2nd floor of a 5-storey building. Distance from the apartment "Molex Apartments Ave Mira, 35" to the central railway station is 2.5 km, to the bus station - 1.2 km. From the railway and bus stations to the apartment you can get there by taxi # 12.